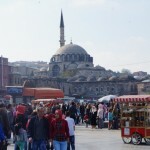 Home » Countries » Istanbul: The most interesting city in the world? Spanning both Europe and Asia, this dynamic city seemed like the perfect way to blend our experiences of our entire trip for a spectacular finale. 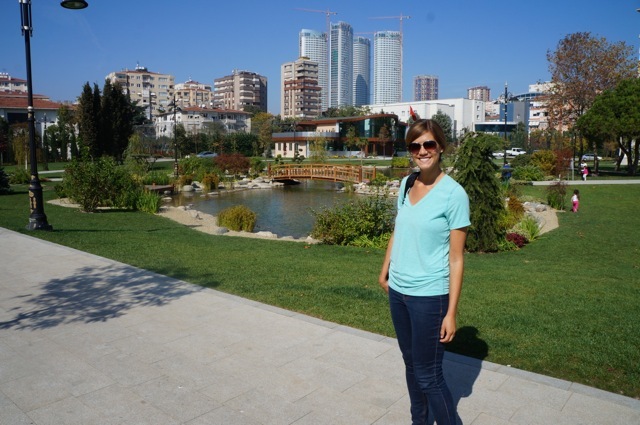 I had high hopes for the economic, cultural, and historic heart of Turkey and I am happy to report that my expectations were exceeded. Besides being the second largest city in the world (13.9 million people within city limits), Istanbul has served as the capital of four empires: Roman, Byzantine, Latin, and Ottoman. In my opinion, those stats alone are enough to differentiate this global city from others I have previously visited. 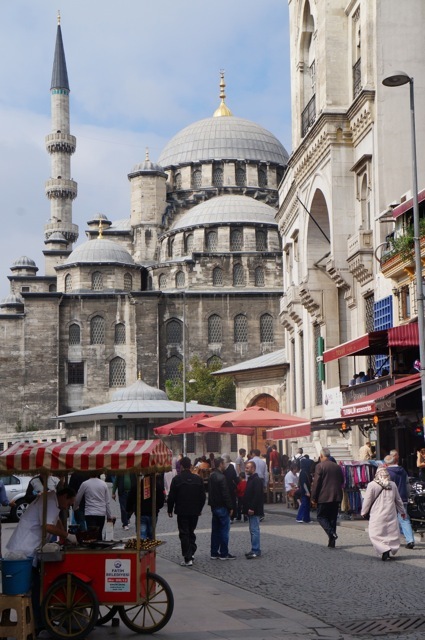 However, what struck me the most about Istanbul was that the city was equal parts ancient, foreign, and modern. 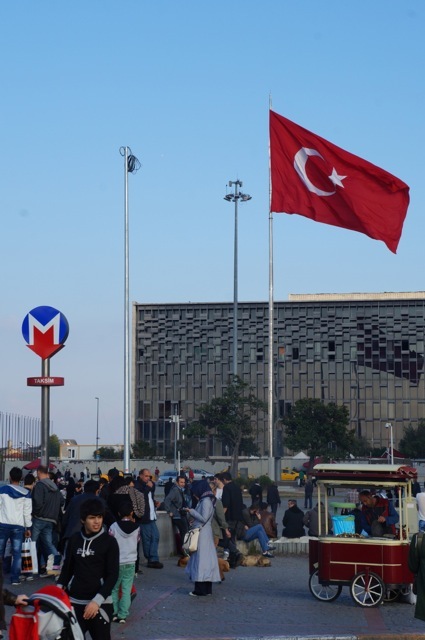 This unique combination of traits coupled with delicious food, eclectic culture, and diverse people made Istanbul the most interesting city I have ever visited. Immediately upon arrival, Mike and I knew that we would have absolutely no problem filling every second of our final five days. In fact, the city has so much going on that we could probably live there for years before even scratching the surface of its offerings. We noticed an exotic and foreign feel from the start. 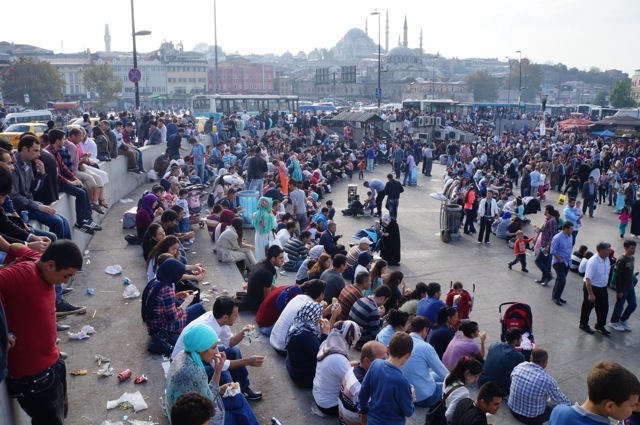 The majority of people living in Istanbul are Muslim. I was surprised that most women wore head covers and the call to prayer from the city’s thousands of mosques shaped daily activities. The traffic was manic like Asian cities and there were people EVERYWHERE. 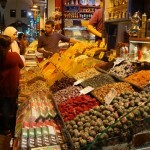 The vibrant colors, smells, and tastes were invigorating but sometimes overwhelming. I loved it from the beginning. 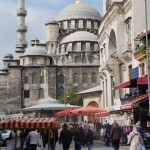 We stayed in a modest hotel in Sultanahmet – the touristy, but historic, center of the city. 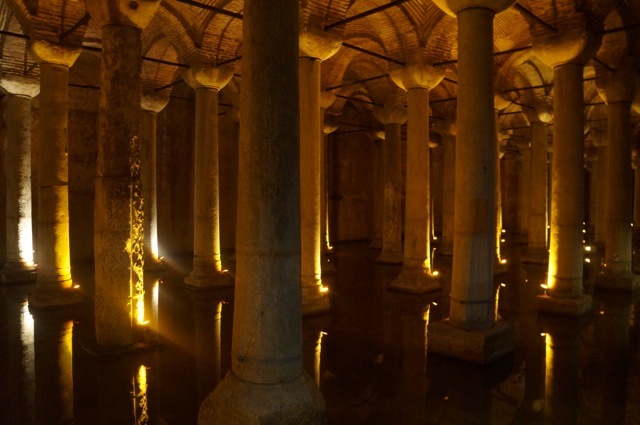 Any guidebook you read will point you to stay in the Sultanahmet neighborhood because of the proximity to the major historical sites: Hagia Sophia, the Blue Mosque, the Basilica Cistern, and a slew of museums. 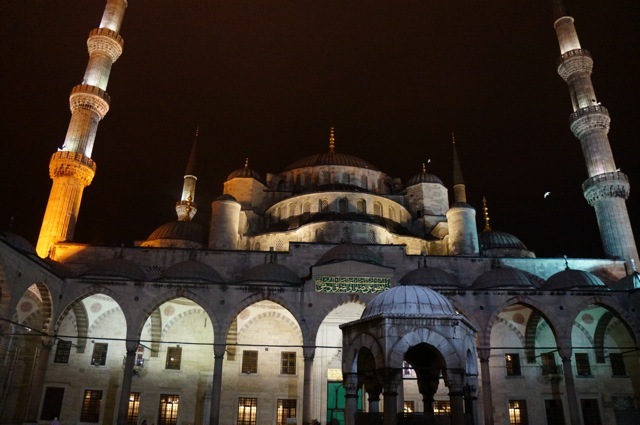 Sultanahmet was a bit too touristy for us but we enjoyed being within walking distance to the center of Istanbul’s history and waking up to the call to prayer from one of the most iconic mosques in the world. 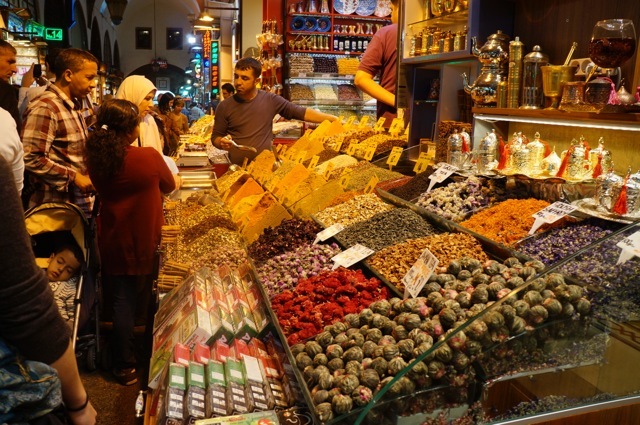 We reveled in being able to walk out of our hotel and stroll to the massive Grand Bazaar and bustling Spice Market. 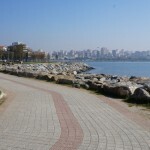 And, we were also only 20-minutes on foot to the Golden Horn, an inlet of the Bosphorous that divides the city and creates a natural harbor. It is here that Mike and I spent a lot of time. 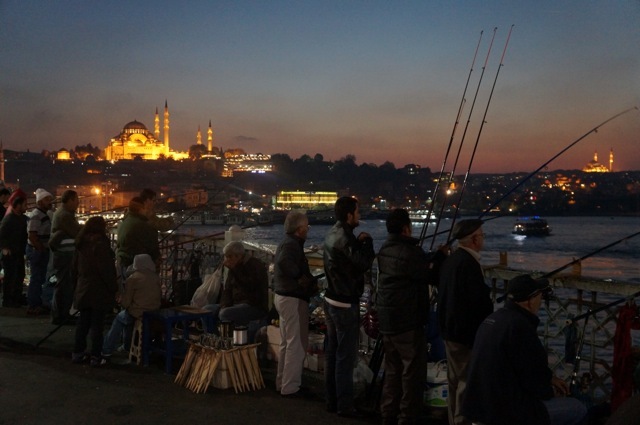 The Golden Horn area near the Galata Bridge is absolutely fascinating for people watching. 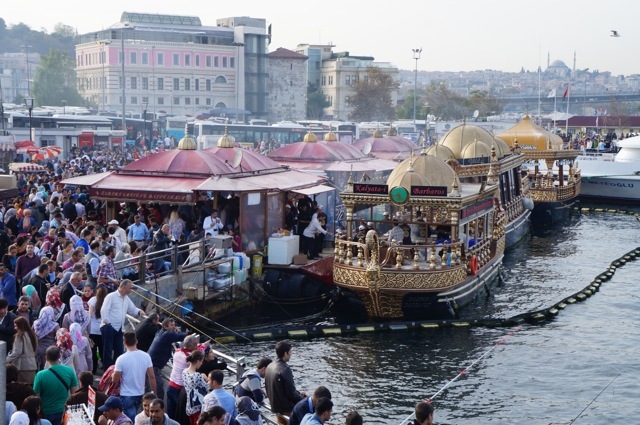 Tens of thousands of people pass through on a daily basis whether they are tourists or commuters boarding one of the numerous ferries that serve as a major means of transportation. 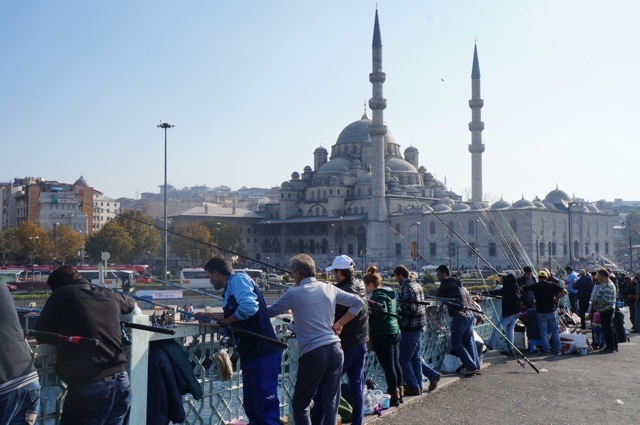 Hundreds of fishermen line the bridge connecting two parts of the European side of Istanbul. 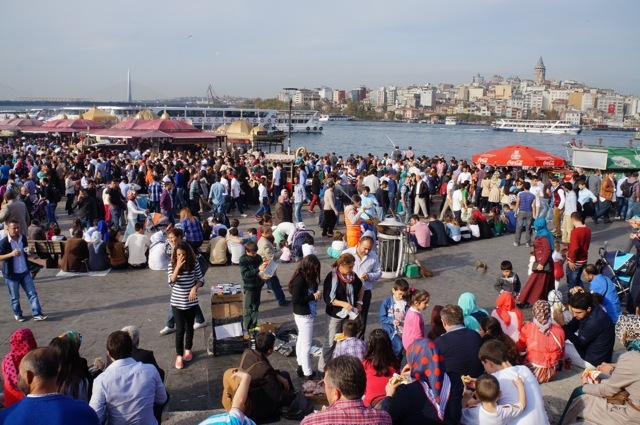 While Mike and I did not see one fisherman actually catch any fish, we joined hundreds of Turks and tourists by enjoying several fresh fish sandwiches that can be bought literally “off the boat” in the harbor. Upon walking across the Galata Bridge, we explored the Beyoglu neighborhood – the art, entertainment, and nightlife hub of Istanbul. 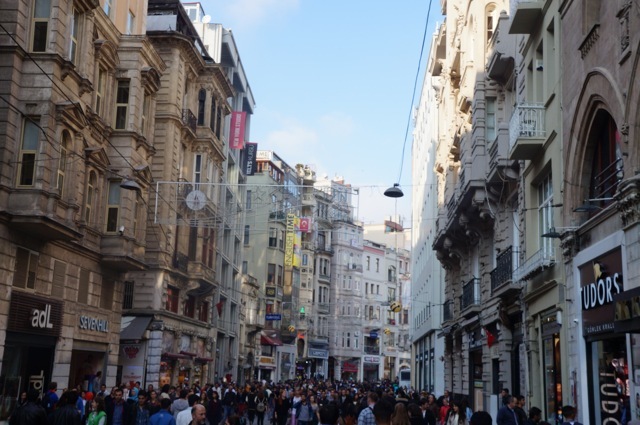 Beyoglu has sites (like Galata Tower and Taksim Square) but its main thoroughfare, Istiklal Street and its surrounding labyrinth of side streets, is the reason we fell in love with the area. 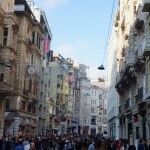 Istiklal Street is a 1.4 km pedestrian-only street lined with countless cafes, restaurants, bars, boutiques, art galleries, music stores, and book stores. 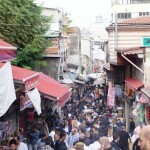 Millions of people visit this street in the course of a day, and for good reason. The street pulses with energy from the early morning until late into the night. Branching off of Istiklal Street there are dozens of quaint, narrow alleyways that house restaurants and clubs with live local music that can be enjoyed until sunrise. 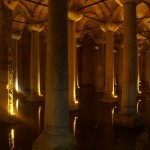 Nightlife is traditionally centered around methanes (similar to taverns), where an assortment of mezes (small plates or appetizers) are consumed with rounds of raki, the aniseed-flavoured national spirit. 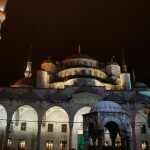 On our last night in Istanbul, we wanted to celebrate by partying into the wee hours. As we finally went back to our hotel around 3 am, we were congratulating ourselves on still being “cool” and being able to still stay out late. 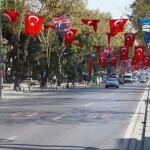 But we were shocked to see that there were tons of Turks that were still out (on a weeknight!) sipping raki, smoking hooka, and jamming to live music. 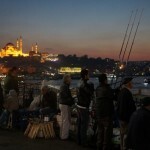 We learned that this revelry is pretty typical in Istanbul whether it be Monday or Saturday night. 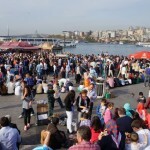 We generally found that Turkish people are social, carefree, and lively. 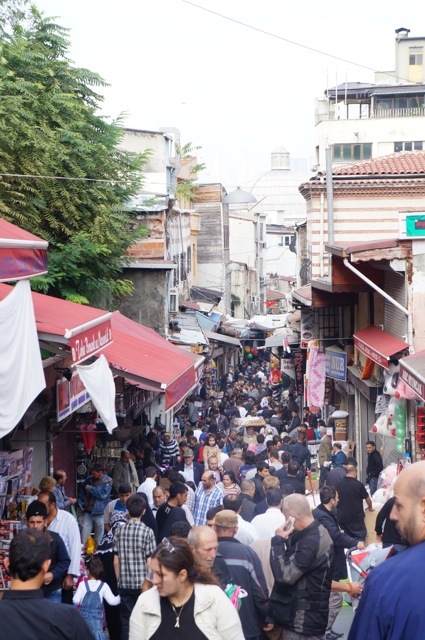 While Mike and I spent the majority of our time on the European side of Istanbul, we did dedicate an entire day to the Asian side and were surprised to see that it is completely different! 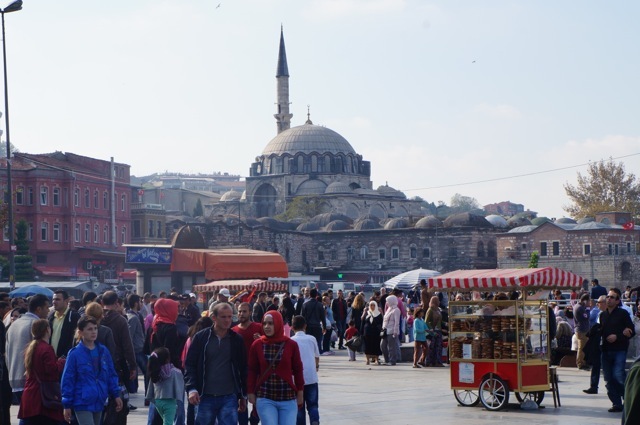 While the European side feels historic, crowded with people, and almost Middle Eastern, the Asian side seems more modern, spacious, and businesslike. Ironically, the European side reminded me of Asia and the Asian side reminded me of Europe. 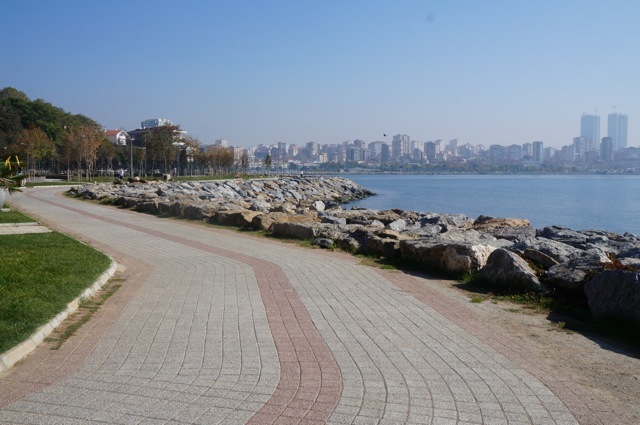 We spent our day in Asia exploring the Kadiköy district and found wide avenues lined with trendy shops and restaurants and seemingly more parks and leisure space. 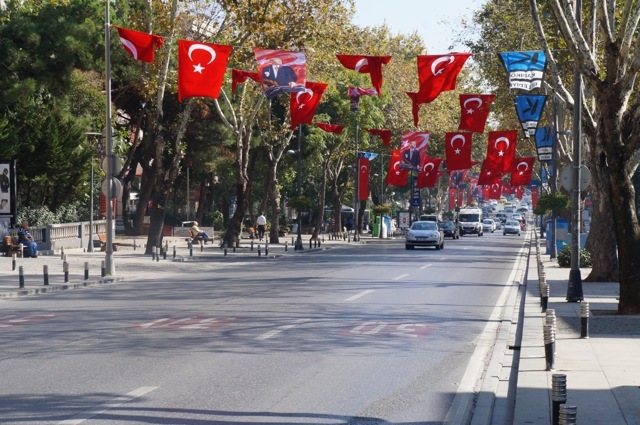 And, while the majority of Turks on the both continents are Muslim, the women on the Asian side were dressed much less traditionally; I rarely saw their heads covered. 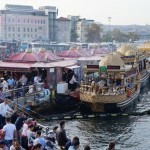 Many tourists miss out on seeing both continents while visiting Istanbul. In my opinion, this is a mistake as the Asian side is worth a trip if only to experience the short, scenic boat ride from each side or to see the major differences between Asia and Europe. Istanbul proved to be a fantastic way to end our trip. Five days were simply not enough to explore all that the city has to offer. But in hindsight, it was the perfect way to conclude our amazing journey because it left us wanting more. 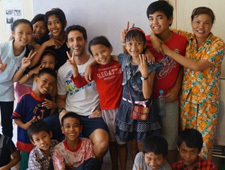 It made me want to go back to Asia, explore more of Turkey, and maybe even venture into the Middle East. It filled me with wonder (and plenty of delicious Mediterranean food). 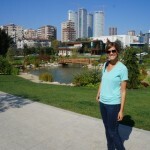 Istanbul was the most interesting city I have ever visited and I cannot wait to return one day. I look at our time spent in this thriving city as the beginning of the next adventure instead of the end of 9 months of travel. And for that, I will always be thankful.